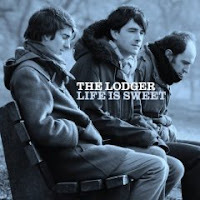 A tasty slice of post-Zombies British pop, the Lodger‘s Life is Sweet obviously has no problem with showing off its fine mood. “The Good Old Days” mines much of the same slightly funky territory as the Clientele‘s “Bookshop Casanova” did last year, with candy-colored joy replacing that band’s persistent sepia-toned gloominess. Nostalgics (and Go-Betweens fans — I’m looking at you, Carman) beware: there are more than enough hooks on these 11 tracks to fill the voids in your sad indie-pop hearts.